Self Cure Remedy details of Apply neem oil for the care and relief of Bee Sting, including effectiveness and popularity scores of the remedy. 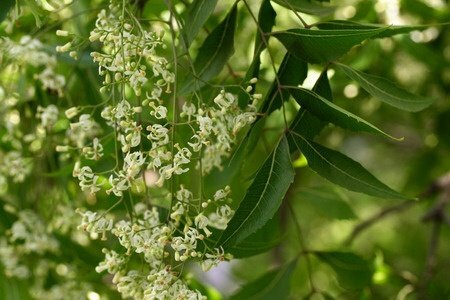 Neem leaves contain quercetin which reduces inflmmation and redness caused by insect bites and keeps the skin cool and soothed. Apply neem oil diluted in sesame oil or neem paste at the site of bite for 15 to 20 minutes, then rinse it off. To make a paste, take a little neem powder and mix it with little water. The self cure remedy of Apply neem oil for the care and relief of Bee Sting has an effectiveness score of 3.0 and a popularity score of 2 on the self-cure system.